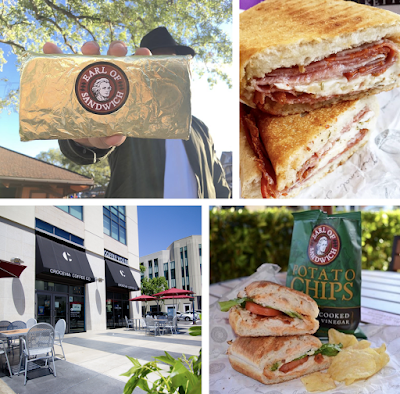 From the descendants of the inventor of everyone's favorite lunch meal, Earl Of Sandwich will open a location in downtown San Diego, taking over the 2,700 square foot space that last housed Crocevia Coffee for an early 2019 opening. In 1762, John Montagu, the 4th Earl of Sandwich, invented the meal that would forever change dining. Fast forward to 2004 when his direct descendants opened the first Earl of Sandwich eatery in Downtown Disney in Orlando, Florida. Founded by Orlando Montagu, who is the younger son of The 11th Earl of Sandwich, the fast-casual chain now has 30 locations around the United States and one in France, with ambitious franchise expansion plans. Earl of Sandwich already has a San Diego location within Harrah's Southern California in Valley Center, but fans will certainly welcome a more central outpost to get a taste of the eatery's menu of fresh, made-to-order sandwiches, including such favorites as the Holiday Turkey (turkey, cornbread stuffing, turkey gravy, cranberry sauce & mayonnaise), the Original 1762 (roasted beef, cheddar & horseradish sauce), and the Full Montagu (roasted beef, turkey, Swiss, cheddar, lettuce, Roma tomato & mustard sauce) - all served on freshly toasted artisan bread. In addition to a large list of signature hot sandwiches, hand-crafted wraps, freshly tossed salads, side dishes, and pizza breads, Earl of Sandwich will also serve breakfast sandwiches and other morning-focused items until 11am. Earl of Sandwich hopes to open at 690 1st Ave in downtown San Diego by January 2019. For more information, visit earlofsandwichusa.com.